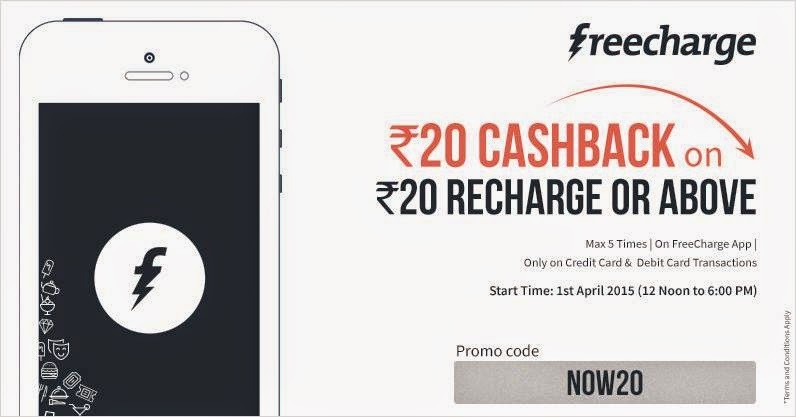 Get the 20 Rs Cashback discount on Freecharge app using the coupon code NOW20, you can pay with Debit/Credit/Net bankiing to availing the 20 rs cashback. This freecharge cashback is applicable using Freecharge android/windows or iOS app only. All the telecom networks tata docomo, Airtel, aircel, vodafone, videocon, reliance, tata indicom, bsnl, IDEA, Uninor etc. are working with this Coupon code. For more Freecharge, paytm, mobikwik and other discount and freebies coupons, don't forget to subscribe All india coupons below via your email.